Med-Challenger FAQs are designed to answer the most frequently asked questions regarding Med-Challenger products and services. Feature tutorials and other use-case “How-To” guides are available in our support site at https://support.chall.com. What medical specialties do you support? Med-Challenger’s products service all levels of medical professionals across all major medical specialties. Our personal education platform and products are designed to help individuals stay current, ace exams, and fulfill recurring MOC requirements easily every year – over an entire medical career. We also provide group education management systems (i.e. up-to-date content + assessment (testing) + remediation + digital assignments + performance tracking + reports and more) for group medical education programs, clinical groups, and other healthcare quality improvement applications. Of course! You can FULL TRIAL any personal education products for 72 hours. All you need is a Med-Challenger account. You can create one free here. If you are interested in group medical education systems for academic training or staff quality improvement, contact us or call 1-800-676-0822 for a free walk-through webinar. All accounts can play our weekly CME Quick Quiz absolutely free – no purchase necessary. Can I use Med-Challenger on mobile devices? Yes. Med-Challenger’s online platform and products are completely “responsive” – meaning they instantly adapt (and function fully) on any computer or mobile device (i.e. tablets, smartphones, desktops, etc). Our products only require Internet access and a web browser (e.g. Google Chrome, Firefox, Internet Explorer, etc). Mac or PC. It’s simple. Create a free account. Or login. You need an account to purchase. If you don’t have an account, you’ll create one in the purchase process. Your single Med-Challenger account will house all of your purchased assets (just one login!). Assets will be added to your account once you have purchased a product. There are Full Trial and Add to Cart (Purchase) links on all product information pages on this site. You can also start trials or purchase directly within our portal store (Med-Challenger account required). You can also call 1-800-676-0822 or email sales@chall.com for assistance. Well…from one year to life, really. Med-Challenger purchases are one-time only meaning you never have to re-buy our products at price ever again. All products provide a full year of access (Premium Membership) out-of-the-box. With active Premium Membership, you’ll have access to all tools and content – including free updates. Products remain in your account forever – you simply renew access to all of your purchased assets once a year. All of your Med-Challenger assets continue to be updated and available throughout your active Premium Membership. What do your products do? Med-Challenger products do multiple things. 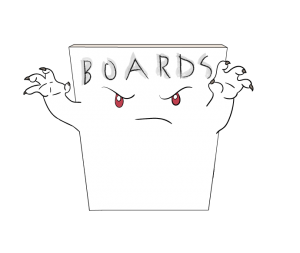 We’re not just “boards” or a “Q bank.” We’re the best exam review and largest QBank with all of the latest learning tools and quality of life efficiencies medical practitioners need today to maintain and improve their knowledge, practice quality care, and maintain their professional certification standing. Try it free, email sales@chall.com or call 1-800-676-0822. Med-Challenger offers group rates as part of large bulk user orders and institutional group programs. Every situation is a bit different depending on the array of content and features requested. Contact us at 1-800-676-0822 and let’s talk. Or email sales@chall.com. Can I renew access to my assets without repurchasing at full price? Yes! In fact, we offer a low-cost, all-asset, super-renewal. For only $199/yr you can renew access to EVERY Med-Challenger product in your account! That’s it. One $199 renewal extends the usage of your investments for another full year! Everything! We even add new annual items free to MOC subscriptions (ABEM LLSA, ABFM MC-FP KSA) as new materials become required. You’ll never be without on-call education and MOC resources again. And you’ll never have to repurchase any item at full price like other vendors require. Do you offer CME credits? Yes. We offer several types of CME credits for MD/DOs, PAs, NPs and RNs. Products may offer multiple types in one, including special requirements for societies and states. Easily earn, claim, and output certificates on your schedule – from anywhere. We offer live sales and technical product support during regular office hours (8am-5pm CST, USA). You can also find guides and troubleshooting help in our Support Site. Can I add multiple products to my single account? Yes. In fact, that’s a unique benefits of Med-Challenger. One account – all items. This not only keeps things simple, but you can assemble multiple products to cover all of your clinical career needs. Other verdors require a login PER product – which seems crazy to us. Do you offer product bundle discounts? We do have the occasional sale, but if you are seeking multiple products in your specialty, and would like to save money, we recommend our PRO Value Bundles (everything in your specialty) or our Library Subscription (everything, ever). These packages contain multiple items at a better price than if you were to buy items individually. Contact us and let’s talk. Call 1-800-676-0822 or email sales@chall.com. Do you offer a Pass Guarantee? Yes. We offer a money-back pass-guarantee on all exam review products. See here for more information. What's your Board Exam Pass Rate? Our board exam pass-rate is roughly 99% across all major specialties based on customer-reported exam failures. It doesn’t mean you’ll score a 99%, it means 99 of every 100 of users that prepare with Med-Challenger routinely pass. We believe this is the best and most consistent pass-rate of any online medical education and board exam prep services given over 25 years of service and over 500,000 exam-worried practitioner served. Beware vendors that do not understand or publish the utilization or outcomes of their products. Some vendors point at “probability of passing” widgets as their “science” but typically, exam prep use or simply answering Q&A does not provide enough data points to support those claims. Besides, they are NOT the actual exam. Talk about “pseudo science!” We rely on real world results. Odds are, if you use Med-Challenger, you’ll pass your exam. Many customers report “easy to use,” “fast”, and “scored higher than expected” as well. Try Med-Challenger today! Do you offer solutions for Group Medical Education? Yes. We have a complete system for medical training programs and other groups interested in scoring higher, staying compliant, remediating outliers, and keeping staff clinical care knowledge up-to-date for better outcomes. We serve medical residencies, PA programs, nursing programs, medical schools, and healthcare organizations large and small worldwide. How do I report suspect content? Content quality is paramount to us. That’s why we place “Report Question” buttons next to every question in Practice Modes, Review Modes, and in post-Assessment answer keys. We give you the chance to add comments about your submission(s). Note – Our revision cycle is the fastest around – typically errata is addressed via expert peer-review and seamlessly corrected in a matter of 1-2 days in most cases. How do you maintain your content and questions? Our courses are continually reviewed by a team of board-certified medical experts in a process of double peer-review and medical proofing. Content is matched to a specialist in the respective subject or practice discipline for the most-applicable corrective measure(s). Items reported by customers via our “report question” features helps speed any required spot revisions. Overall, courses are revised completely every year, with new editions appearing when necessary due to larger changes in exam specifications, practice guidelines, etc. Need more detailed product information? Our searchable 24/7 support site offers more in-depth feature summaries, tutorials, best practice guides, and more.